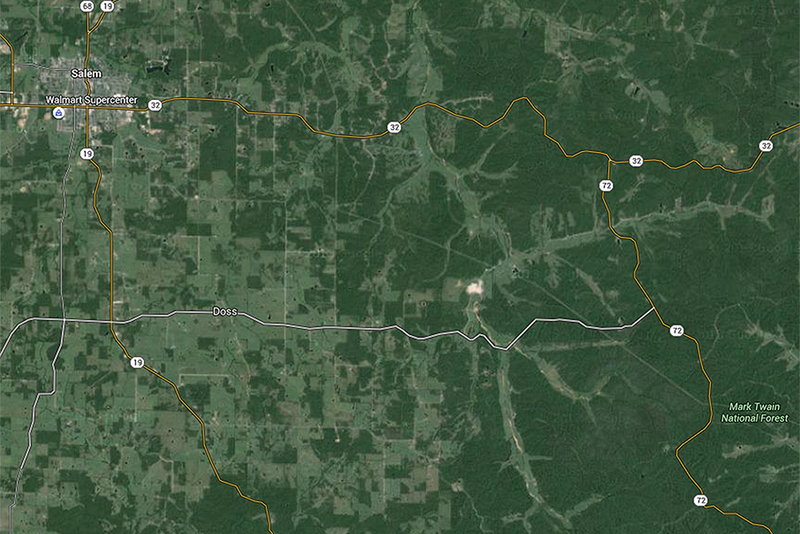 Where the farmland southeast of Salem, Missouri meets the Mark Twain National Forest. Satellites weren’t watching as American settlers made their march westward denuding the virgin forest that blanketed the United States from the east coast to the Mississippi. 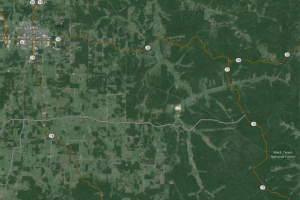 No aerial archive shows the mighty oaks, beech trees, and hemlocks that once stood there being cleared for farmland, logged for lumber, and burned for fuel. The use and commodification of forests is an old, old story—but modern technology and climate change have greatly modified the script. Apr 27, 2016 • Forests are commodities. The biggest driver of deforestation worldwide is the economic value of trees and the land they stand on. With the high demand for agricultural land and wood products, deforestation has become an intractable problem. To address this dilemma, the World Resources Institute, a not-for-profit, non-governmental research organization, has released a Landsat-based alert system as part of its Global Forest Watch network. When a new road appears in the dense forests of Peru, or a baseball diamond-sized patch of forest is felled in the Republic of Congo or Kalimantan in Indonesia, anyone with an Internet connection can be alerted to the loss. That’s near-weekly alerts for changes smaller in size than a football field. That combined detail and pace makes this new deforestation alert system revolutionary. Using Landsats 7 and 8 together, forests are potentially imaged every eight days. That revisit time, or data cadence, together with Landsat’s 30 meter spatial resolution, allows land managers to know when small incursions into forests are being made—in time to respond before major damage has been done. Global Forest Watch (GFW)—whose goal is to provide decision makers with timely information about global forests—teamed up with the University of Maryland’s Global Land Analysis and Discovery (GLAD) team and scientist Matt Hansen to make these near-weekly alerts happen. The three essential ingredients are freely available Landsat data distributed by the USGS, the Hansen-GLAD tree cover loss algorithms, and big data computing power like that of Google’s Earth Engine. All of this is wrapped up and distributed via GFW’s user-friendly mapping interface. The alert system will expand to cover countries tropic-wide later this year. That lack of transparency is a point of legitimate contention. The new forest alert system aims to increase transparency. 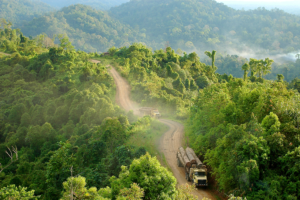 It tracks forest exploitation, including the nascent stages—new access roads, selective tree removals—so all interested stakeholders in land use development and conservation can have the same set of facts. 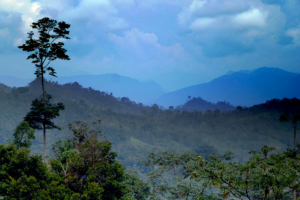 “We hope the alerts stimulate improved, consensus-based planning on how remaining high carbon stock, high biodiversity forests will be developed and protected,” Hansen says. As climate change threatens humanity with destructive storms, drought, and sea level rise, tangible forest commodities: food, fuel, paper, timber, must be weighed against the more indirect ones: carbon sequestration, biodiversity, clean water. If the alert system can stem the exploitation of tropical old growth forests, the so-called high-carbon stock, high-biodiversity forests where 90 percent of tree cover loss takes place it could play a key role in keeping these forests intact and limiting their carbon emissions. In December 2015, the Paris Agreement recognized the urgent need to respond to climate change and to attempt to keep global warming below 2 degrees Celsius. To help do so, drafters of the agreement specifically mention efforts to conserve and enhance forests for carbon mitigation. Forests can be a carbon sink or source. 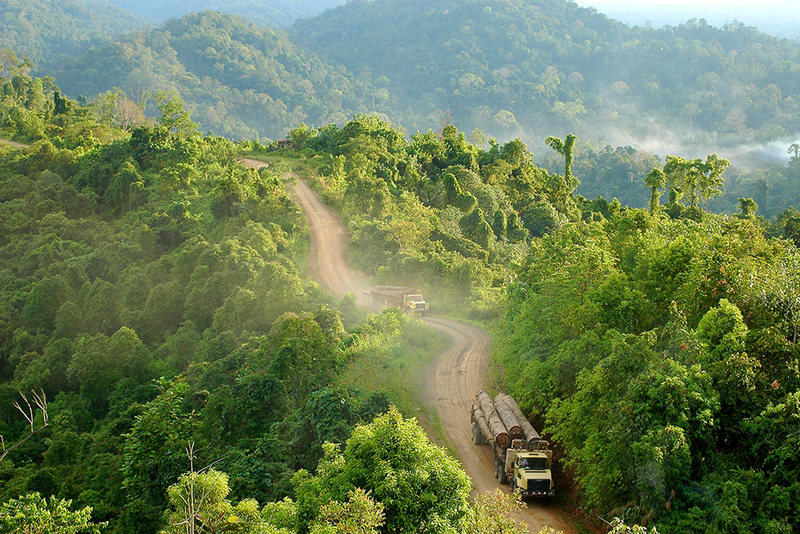 At their height, the daily CO2 emissions from the 2015 Indonesian fires, which consumed tropical forests and carbon-rich peatlands, were on par with those from the daily economic activity of the entire U.S.
Policy programs like REDD+ aim to reduce emissions from tropical forests by giving intact forests an economic value—tropical nations are paid to preserve their forests (on the basis of performance). The linchpin for this type of policy concept is an accurate baseline of forest cover and an unbiased mechanism for monitoring change. 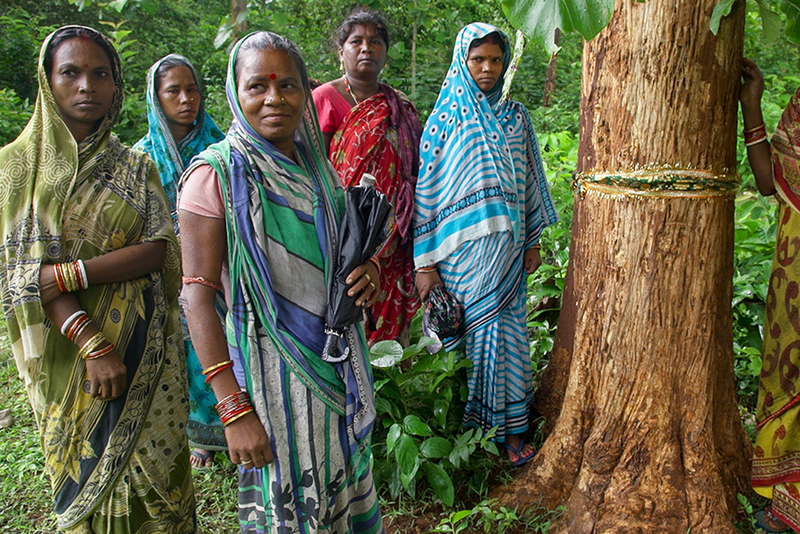 The GFW-GLAD forest alert system gives timely forest cover information to any and all stakeholders so they can work together to use forests sustainably and plan for long-term conservation, balancing their need for increased tangible forest commodities with their commitments to emission reduction. 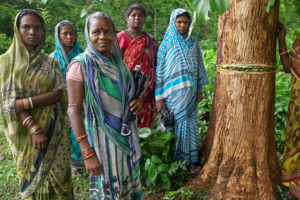 It puts tools in the hands of all levels of government, private industry, and locals keen to prevent the irreversible loss and degradation of their forests. What made the GFW-GLAD alerts possible? What could make this type of alert system even better? Landsat imagery is used to inform forest change assessments by a majority of tropical countries. But there are some serious limitations, cloud cover chief among them. Clouds are a persistent feature of humid tropical forests, and many Landsat data collects are obscured by cloud cover. To counter cloud limitations, researchers have called for acquiring data more often. Greater image cadence—a faster drumbeat of data—would help dodge clouds issues. With the European Space Agency’s Sentinel-2 satellites fully online and both Landsats, the data cadence will reach a three-day repeat. Another way to deal with persistent cloud cover is to look right through them. This is where radar could help. In their paper, Reiche and co-authors posit that an operational radar program following in the mold of Landsat is needed. To help capture the three-dimensional structure of forests that is important for biomass measurements, upcoming lidar and radar missions such as NASA’s Global Ecosystem Dynamics Investigation lidar (GEDI), NASA-ISRO SAR Mission (NISAR) and ESA’s Biomass are coming. 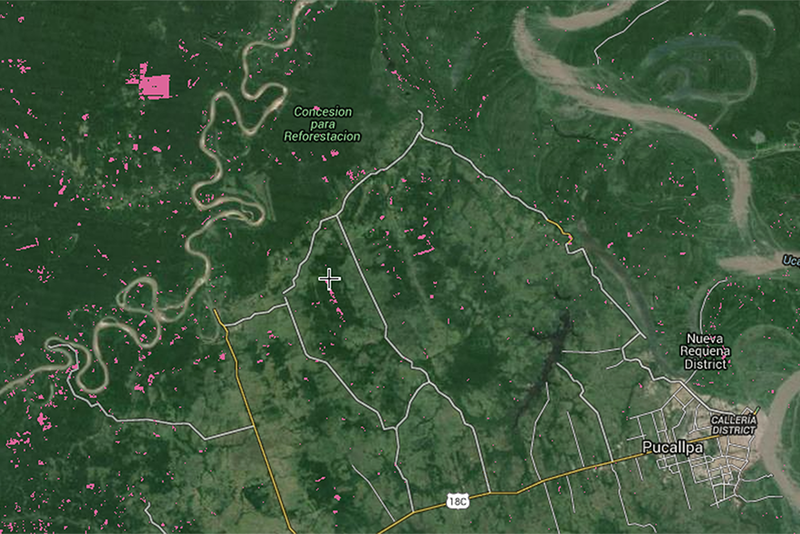 And lastly, being able to access fine-resolution data from commercial satellites and microsat constellations when areas of potential deforestation are found will give land managers a virtual magnifying glass for identifying hard-to-spot forest degradation. As climate change raises the stakes, affecting the planet’s health as well as ours, such an ensemble of data will give our remaining tropical forests a fighting chance.